(NaturalNews) Back in 2006, one of the world's foremost mycologists secured a patent that, once fully developed, could shatter the power of the pesticide industry. This would be a major setback not just for manufacturers of chemical poisons like Dow, but also for companies like Monsanto that genetically modify crops to produce the Bacillus thuringiensis (Bt) pesticide in their tissues. In a nutshell, mycologist and permaculture advocate Paul Stamets has discovered a chemical-free method to trick insects into gathering, stockpiling and eating insect-killing (entomopathogenic) fungi, which then take over their bodies and devour them. Although only 1 to 5 percent of the world's one million identified insect species are considered pests, an enormous industry has grown up around using chemicals to poison them. These poisons have wreaked havoc on the health of humans, animals and entire ecosystems. As Stamets notes in his patent, chemical pesticides also produce whole new problems for the agricultural systems they are supposedly benefiting. 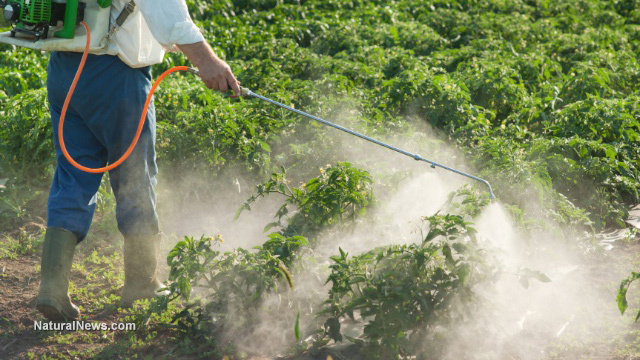 Because most pesticides are broad-acting poisons that are simply sprayed over wide areas, they also kill beneficial insects such as pollinators and predators. Because pests tend to recolonize faster than their predators do, this means that insecticide use actually worsens pest problems. Overuse of pesticides has also led to the development of resistance in many pest species. This, in turn, has led to increases in the dose and frequency of pesticides applied, compounding all the problems caused by the chemicals' use. Attempts to control pests with biological methods have had mixed results, the patent notes. This is because it has been difficult to find an application method that actually attracts and targets a specific pest. Wild (as opposed to household) pests, are especially hard to bait with non-chemical pesticides, because it is impossible to remove all competing food sources. Many social insects are also notoriously hard to bait. Entomopathogenic fungi provide an ideal solution to part of this problem, because they prey on highly specific species of insects, usually leaving even very closely related species unharmed. With his 2006 patent, Stamets made a discovery solving the other part of the problem: how to get insect pests to take the bait. Stamets discovered that early in their life cycle, before producing spores, entomopathogenic fungi are actually highly attractive to their favored prey. Target insects exposed to these fungi actually change their behavior, grazing on and even tending to the fungi. Social insects may gather them and take them back to their nests. This contact is sufficient for the insects to become infected with the fungi, which then grow inside them and devour them. This had not previously been discovered, because fungi in this phase of their life cycle often exist only below ground or deep within rotting wood, for example. This provides an extra advantage, however, since fungi this early in their life cycle are not as moisture-dependent as they become later. This makes it possible to "seed" the insect-killing bait fungi in environments where insects are foraging, but that would never support the mature fungus. Entomopathogenic fungi in their pre-sporulation stage can be cultivated artificially on nearly any plant material, including wood or agricultural waste. They can then be dried and turned into pellets that can then be re-hydrated just before use. Because the fungi target such specific species of insects, they are by definition parts of the ecosystems in which they would be used. This, combined with their completely organic nature and their innocuousness to non-target species, makes them one of the few insecticides that will likely have minimal wider ecological impact.